Bookshelves are one of the most versatile and attractive features in any home. They are often seen as a practical piece of furniture, which they certainly are, but there is so much more to them than just a place to store books. They can become the luxurious focal point of any room or they can be a subtle feature that blends in with the rest of the decor and colour scheme. They come in a variety of sizes, depths and shapes and can even be used as room dividers or walls. We’ve selected a few of our projects to demonstrate the power of bookshelves in luxury interior design. Callender Howorth’s interior renovation of the Exchange Building City Penthouse didn’t skimp on bookshelves; we fitted them as if they were already part of the construction. 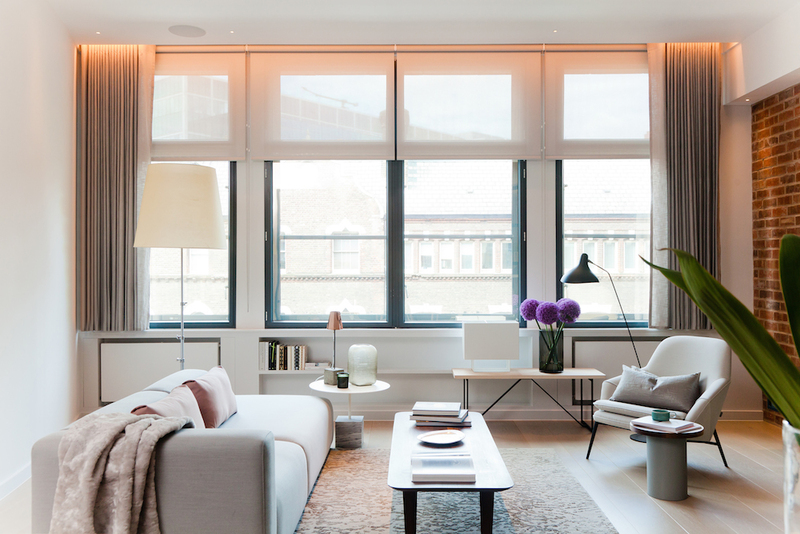 The project involved the complete renovation of spacious penthouse apartment in the trendy Shoreditch area of London. The client wanted to create a home that replicated the “New York loft” vibe so we emphasised the large spaces, high ceilings and natural light. 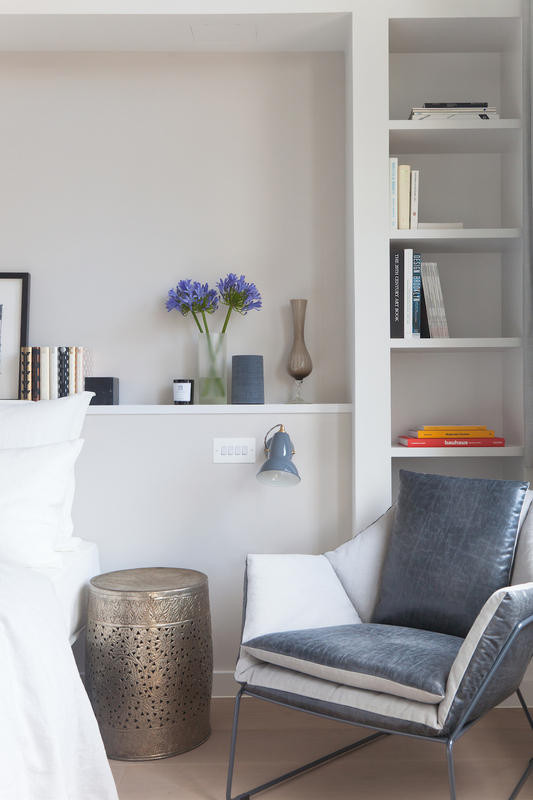 Subtle floor-to-ceiling bookshelves were fitted in the bedrooms blending perfectly with the white colour scheme. They actually became a part of the wall next to the head of the bed on either side and form perfect squares of space to be utilised with books, magazines, ornaments and other decorative features. Meanwhile, in the living room, the same effect was employed but this time horizontally rather than vertically. We fitted a long yet narrow in breadth two-shelf white bookshelf that ran the length of the windows above it. Again, the shelf is white and seamlessly blends with its background; it is complemented by other neutral and white coloured furniture and walls. Our Belsize Park interior design project prominently features bookcases in the living room and dining area. We transformed a dilapidated Victorian house into a dream home for our clients who wanted an eclectic look with Indian influences that would reflect their style and heritage. In fact, a rich brown bookcase was used as a focal point in the living room and takes up a whole wall. The main bookcase was supplemented by a large bookshelf to create a wall above some discreet storage cupboards in the adjoining dining area and used in a very minimalist way with just one vase despite the presence of five shelves. 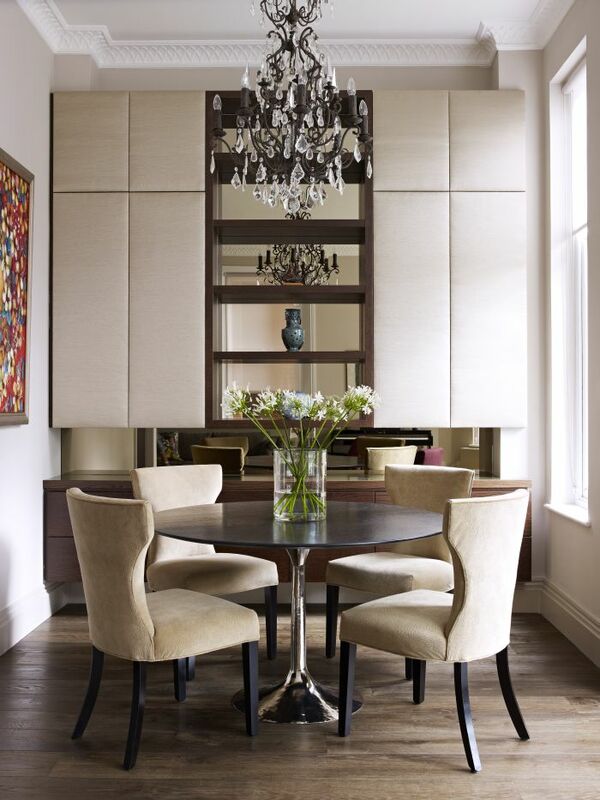 When combined with an opulent chandelier above a dining table, the effect was a perfect contrast of empty space and detail so that the space feels harmonious, refined and uncluttered. Similarly, our Nice Apartment project in France included fantastic full-length shelves that took up most of the wall. Framed by floor-to-ceiling cupboards on either side in the same dazzling white as the ceiling and one of the walls to emphasise a feeling of space and light that makes the ceiling seem higher than it actually is. The shelves were very sparingly populated, and the books were actually left elsewhere piled on a dresser to convey an eclectic effect. 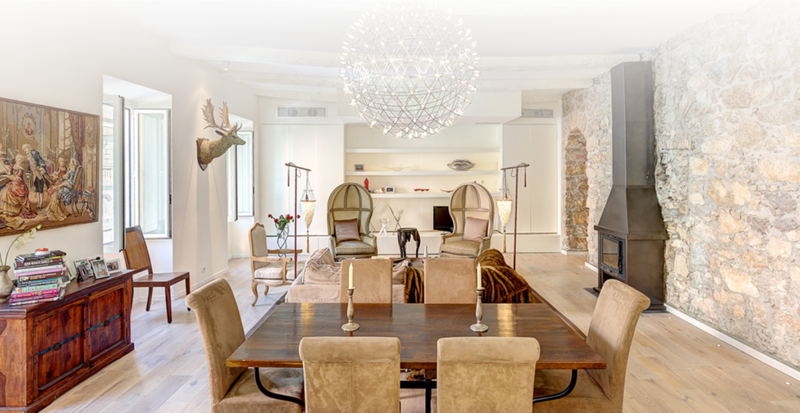 If you would like the help of an interior design consultant to advise you on how luxurious bookcases and other items of furniture can transform your home, please contact Callender Howorth.